I am looking to start my own business. I would love to buy somewhere and start up a florist business but I am scared. I have always wanted to start my own flower shop business. Please help me I don’t know where else to turn to. 1. 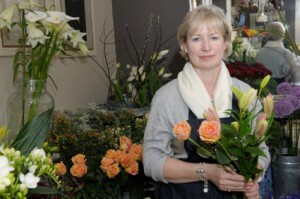 Do you have experience in the florist business? 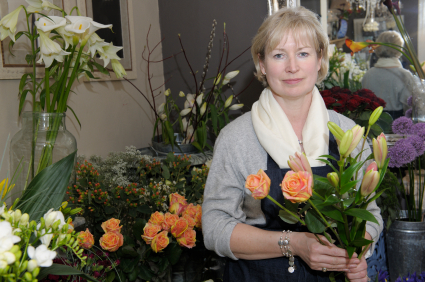 If not, a good way to gain confidence (and not eliminate current income) is to get a part-time job with a florist and learn everything you can about it — take in inventory, price the displays, make deliveries, do everything. what your current employer is doing wrong and right. 2. If you do have some experience, one way to go is to start small. One way is to offer to do an arrangement for your church, for example. Or learn to do something small, that doesn’t cost too much in materials, but that you can get a good margin for, such as corsages for prom season. Everyone wants a nice-looking corsage and many florists can’t be bothered to train their people to make them nicely (I have two teenage daughters and have seen some of the wretched corsages that have been pinned on them for proms). Yes, teenage girls don’t want to “stick out” — they do want something that has some resemblance to what their friends are wearing, BUT, if you can do something a little more special than what is being offered locally (special ribbons, dyeing services for ribbons to match the dress, something other than baby’s breath in the mix, something for the hair, etc. ), then you have a product with real “legs” in the prom community. 3. Don’t try to be all things to everyone. One way to get started is to find the one thing no one is doing well in your community: Cut flowers at the farmers market…again, prom corsages … some sort of specialty wedding item (not big arrangements for the tables or churches)…interesting plants for Christmas other than the standard. I have a brother-in-law who made his big break in the florist business because he spoke Spanish, lived in Tampa, FL, and understood what Cuban-born people were interested in for funerals (in his case, it was floral blankets for the caskets) and dining room floral arrangements (no one there puts flowers in the middle of the table — they feel it interferes with the conversation and is rude — they use large, flat-backed arrangements for the sideboards). Starting small will allow you to get your foot in the door, gain a customer base and not expose yourself too much in terms of money. Then, you can grow from there.